Phone: 715-274-7807 Resides with wife Lynn in Highbridge, WI on a small beef farm. Occupation: Works as an equipment operator. 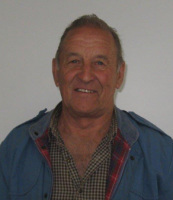 Hobbies: Enjoys older vintage machinery and John Deere tractors, snowmobiling, hunting and fishing. Phone: 715-765-4660 Resides with wife Elaine in Mason, WI, on their farm Occupation: Retired Farmer. Hobbies: Enjoys spending time with family, grandkids and restoring older John Deere tractors, machinery, and anything old. 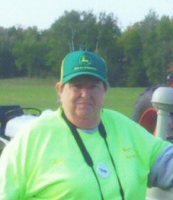 Phone: 715-274-7807 Resides with her husband Dave in Highbridge, WI. 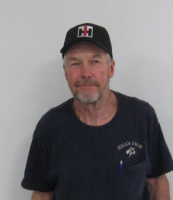 Occupation: Works in Mellen, WI, at Columbia Forest Products. Hobbies: Vegetable and flower gardening, their kids and grand kids. 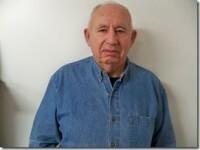 Phone: 715-274-2612 Resides in Highbridge, WI, with husband Ralph. Occupation: Retired Nurse. 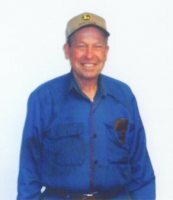 Hobbies: Camping, gardening, fishing, spending time with family, grandkids, and friends, and, of course, the old tractors and older machinery. 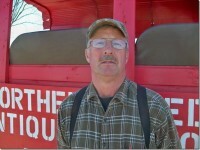 Resides in Mellen, WI Hobbies: Glen is an antique tractor, old machinery, and antique vehicle collector. Owns and shows all at the threshing show, and has added his Shingle Mill to the show, and demonstrates how shingles were made. 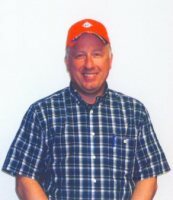 Phone: 715-682-5744 Resides in Ashland, WI, with his wife Joanne. Occupation: Works at C. G. Bretting Mfg. Co. in Ashland, WI. Hobbies: Collecting anything AC Orange, hunting, boating, gardening, and spending time with their granddaughter Kelsey. Resides in Highbridge, WI Hobbies: Paul and Maggie Hill are dairy and beef farmers. The threshing show is held at their farm every year. Jerry lives near Ashland with his wife Yvonne, a retired farmer who enjoys fixing up old tractors and spoiling their Grand kids. Phone: 715-274-3873 Lives near Mellen with his wife Jean, works for Heating and Cooling company. Enjoys old time farming and all types of machinery.